The Akatsi Area. Dagbamete is about 9 km south of Akatsi. Because unpaved roads are slow to drive, most villagers get to Dagbamete from the N1 highway by taking the road from Adrakpo (6 km) or the road from Abor (4 km). The N1 is the national highway that connects the capital Accra to Aflao on the border with Togo. 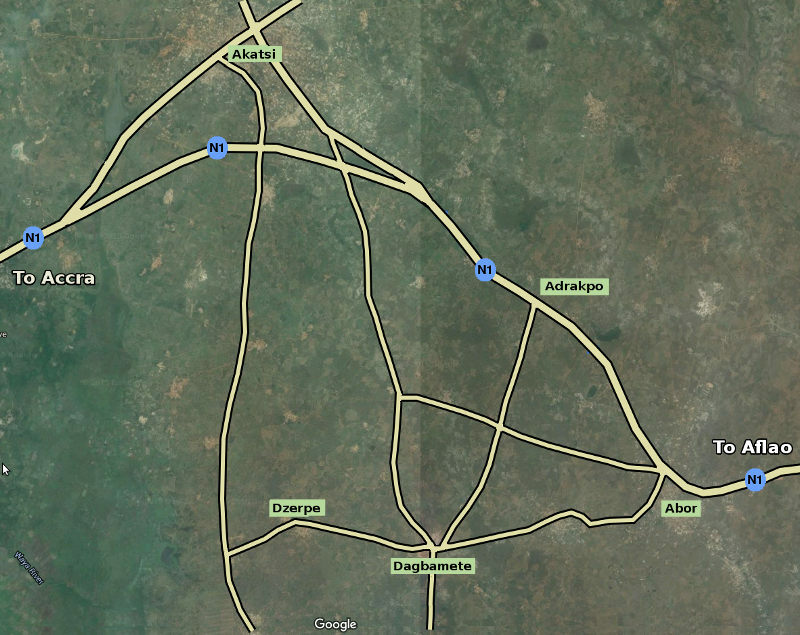 The N1 is known as the "Accra-Aflao Road" or the "International Highway". 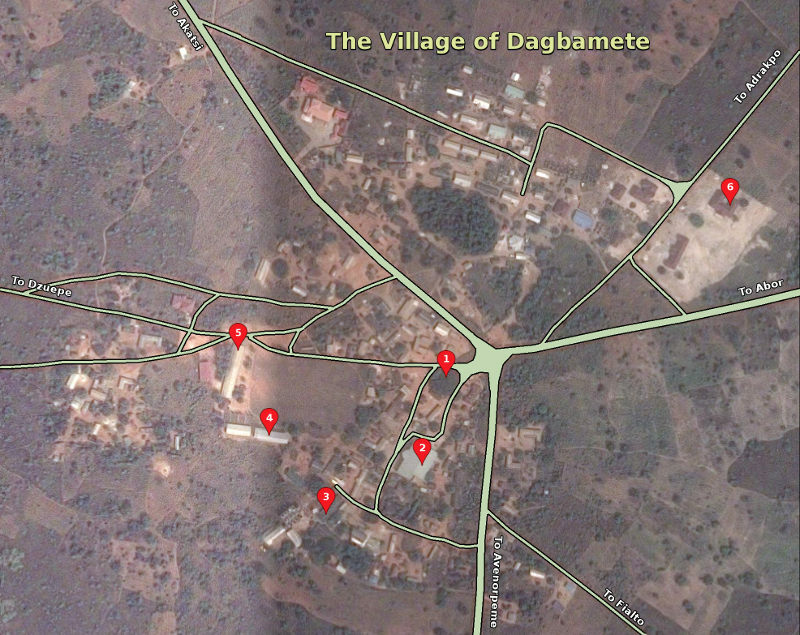 Dagbamete places of interest indicated by number: 1. The "Big Tree" community meeting place; 2. Apetorku Gbordzi; 3. Kathy Armstrong Lodge; 4. Junior Secondary School; 5. Basic School; 6. Dagbamete Medical Centre.